I know that the definition of “success” is vastly different for different people. For some people, “Success is equivalent to Money” and for some people “Success is equivalent to Excellence” and some others it is something entirely else. Success is something which is “purely” subjective in nature. It depends from one person to another and personally, I feel it is never moral to measure success on the scale of “money earned”. 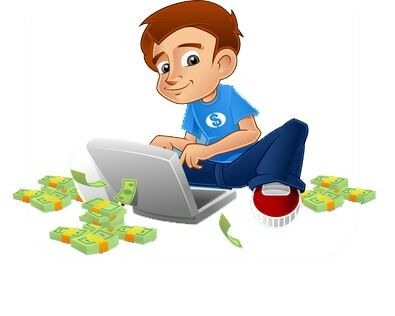 In blogging too, there are whole lot of people who feel that the more money they earn each month, more successful they are in blogging. But I think this is not something which is entirely true and can be blindly followed. In blogging, Money should never be equated with Success. You should love and be passionate about your work, then earning money should be easier that you had ever thought of. The most important aspect of blogging is “writing”. But it is true that writing alone will never make you a successful blogger, as there are many other things that you need to master like Search Engine Optimization (SEO), Social Media Optimization (SMO), Email Marketing and much more. Now you can argue by saying that I am completely against making money from blogging. No, I am not and I never will be. 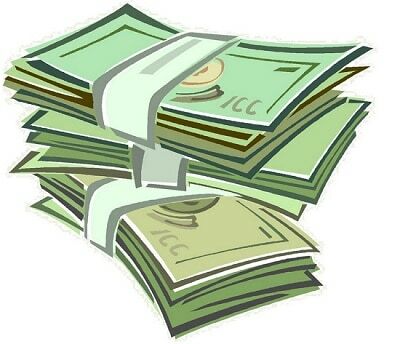 Money making is never immoral is Blogging, but it’s something inevitable. You obviously deserve to be paid with the price of your hard work and time investment. But your primary aim should not be just to earn money out from blogging. I have encountered a lot of people in my blogging career, who came to blogging just for the sake of earning money and have now faded away from the blogosphere. But the ones who really loved their work are still here and will always be in the hearts of their readers. And this doesn’t mean they don’t earn anything from blogging. There are many bloggers who have taken blogging as a full-time profession and make a very good amount of money every month. The main reason I started this article with this “money making” idea is not because I don’t want you to earn money from blogging, but because I don’t want you to keep “money as your main motivation before starting blogging”. I want to show you the path of becoming a successful blogger, help others who need you and make money from it too. In this article, I would like to share some of the “secret” or “golden” rules you need to know to become successful in blogging. 1) Are You Blogging For Money? Then Stop Right Now. Previously, I have stressed a lot on this topic and I want to mention it once again. “Money making” is never immoral in “blogging”, but this should never be your main aim, or goal or motivation. The real essence of blogging is not just making money out of it, but it is to share what you know and help others. And if you are really good at your work, then you will not be doing all this for free forever. You should be paid and eventually you will be. I have encountered a lot of questions regarding this like, “How I make money from Blogging?”, “What is my monthly income from Blogging?” and this is not end when it comes to, “If I start a blog today, (and fill it with content copied from here and there), then can I make money within a month or two?”. I feel very unfortunate that a very less number of bloggers have ever asked me “How can I truly make my blog successful?”, “How can I write at my best to satisfy my readers?”, “How can I keep myself motivated to blog even better?”. Love your work, as it really shows in what you write in your blog and enjoy blogging to its fullest. 2) Are You Reading More than Focusing Only on Writing? As I have mentioned previously also, that writing is the most important aspect of blogging. But how will you write if you don’t read more. The more you read, the more you intake knowledge and the more are your chances of improving your writing skills better. There are many bloggers who don’t want to spend time on researching on a topic and are too excited to start writing. Try to read at least 2-3 articles daily on topics related to your blog. It won’t take more than half an hour to read 2-3 articles every day. Try to make reading as a regular habit. 3 articles a day, 90+ articles a month, 1000+ articles a year. Just imagine the amount of knowledge you can gain within a year if you invest a small amount of time each and every day consistently. Writing a quality, in-depth article every day (or every alternate day) should not be a bid deal if you can follow this simple idea. 3) Are you Following a Systematic or Scientific Approach of Writing? Everything has got a science inside it, and “writing” is no exception. You need to follow a systematic and scientific approach in blogging, otherwise you will be wasting a lot of precious time of yours. I strongly felt this myself before, when I used to strive to complete a single good quality article in a day even after working for the entire day. I used to get carried away with lots of distractions here and there and especially on the Internet. The Internet is a very big source of information, knowledge and resource, but it can also prove to be the biggest source of distraction if misused. The work that can be performed in an hour, can take even a day to complete and the work that can be completed in a day, can even take more than a week. 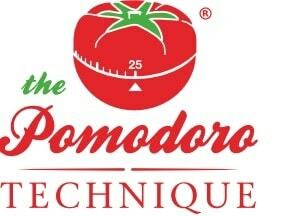 To overcome this problem, there are various techniques, like the famous and popularly used Pomodoro technique. You will realize the magic and effectiveness of this powerful technique only when you start implementing it in your writing. I also use tools like Focus Booster which is very similar to the Pomodoro. Sometimes, I even go to a whole new level, by turning off the monitor of my Desktop or Laptop to eat up all the distractions while writing, just like a typewriter back in those days. I know it feels more like a salesman’s approach but honestly saying, we are all nothing but a salesman. We are just like products with some qualities which we are trying to sell to others. In blogging too, if you need to make real money, then you need to reach out to new clients, find new prospects and grab worthy opportunities. Opportunities are everywhere, all you need to have is the eyes to see and hands to grab them. Don’t always think about your profits all the time. Think about how you can prove to be more and more helpful to your clients. Give your best to your clients, and they will look after you in turn too. Every day, try to make new contacts and approach new clients about your blog and tell them what services your blog can offer and how will they be benefited from it. You also need to pay good attention to the way you communicate with your clients and the relationship you maintain with them. Now-a-days, you can do easy networking on social media sites, like Facebook, Twitter, LinkedIn, Google+ etc. which provides a very powerful medium to connect with people sharing similar interests. But there is nothing that can replace the charm of meeting people physically and building strong relationships. Relationship with people is the most important thing in everything you do in your life. There are some people who get involved in blogging to such an extent, that they forget there is also a beautiful world outside. Sometimes it is a very good idea to arrange a meeting with some of your blogging friends at a suitable place of choice, and discuss about new blogging ideas. Trust me, it really opens new doors and brings home new opportunities. Also never hesitate to participate in various blogging parties, get-togethers, seminars and contests. 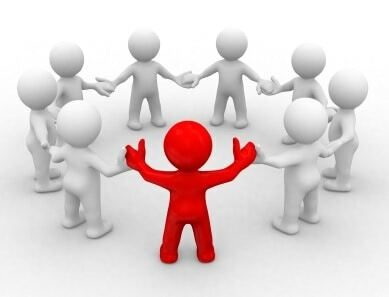 The more you interact with your fellow bloggers, the more you can help yourself and others too. This is indeed a very important thing that you must not choose to ignore. You need to keep a very close eye at your competitors and what strategies they are implementing in their blogs, like new SEO strategies they are following, new sponsors they are working with, how they are leveraging their social media promotion techniques, and much more. Keeping a close look at your competitors will help you to learn new and powerful techniques that they are following and implementing in their own blogs. To eat up the competition, you need to live by it. But this doesn’t mean that you will take unfair means to beat your competitors. Always take competition in a healthy way. Competition can be a way to motivate you and can also help you to learn new things that others are doing. This is a very important aspect that many bloggers fail to maintain, and ultimately ends up in quitting blogging. 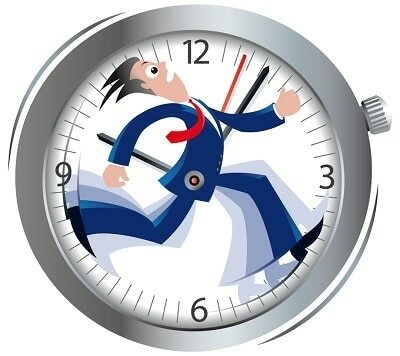 Time management is an art and you need to master this art. You really need to be very precise in managing your time. You need to uniformly distribute, not only time but also priorities among your different works. There are so many bloggers who fail to properly distribute the time and priorities between their work and other important aspects of life. There are some bloggers who give too much priority to blogging and fail to give proper time to their family, friends and other works. Always try to make a plan on how you are going to spend your time each day and try to stick to that plan by at any cost. Also try to make it a habit of writing a log of your daily activities and the amount of time taken by each of them. In this way, you can review your activity log later and can find out those activities which are killing too much time of yours and can be avoided. These are the moral elements that can drive you towards success. These elements apply not only for blogging, but also for all other career opportunities you will ever face in your life. Love, passion and dedication towards your work is what you need to emerge as a successful blogger. If you don’t love your work, then there is a very little scope for you to succeed. You need to be determined toward your goal. There will be lots of temptations trying to deviate you from your path, but it is you who need to prove your determination and move ahead in the path of success. This article lays down the fundamental concepts or the golden rules of blogging. All other intricate details are built upon these basic concepts and ideas. Everything you learn and all the time you spend on blogging will all go in vain if your fundamentals are weak. These are the pillars of success and if your pillars are weak then you cannot make a tall building stand on it. This entry was posted in Other and tagged blogging, Golden Rules of Blogging, Make Money Blogging, Professional Blogging on January 2, 2014 by Aritra Roy.